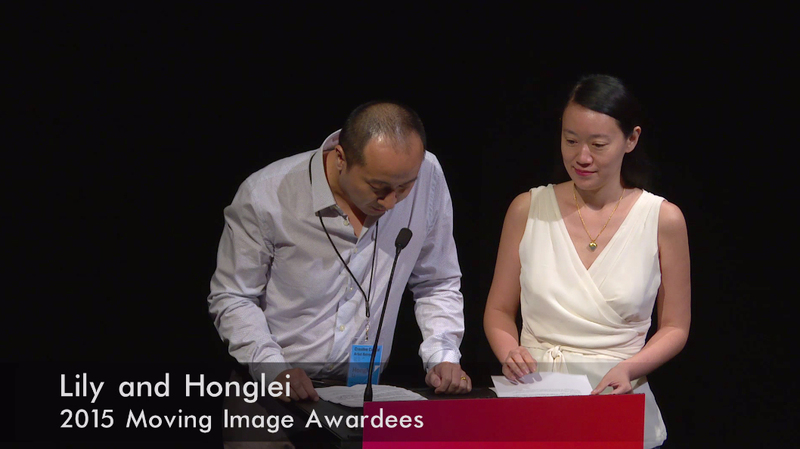 Representing the art studio, Lily & Honglei presented on-going project “Shadow Play: Tales of Urbanization of China” during a week long gathering of art professionals and Creative Capital grantees in both 2015 and 2013, who have received support from the organization for their projects in four categories: Moving Image, Visual Arts, Emerging Field and Performance Arts. Our project is called “Shadow Play: Tales of Urbanization of China.” We are building the piece on both deep research and our 30-year life experience in China. The intention of this multimedia project is to visualize the urbanization process that has irreversibly changed the society, culture, and environment of the world’s most populous country. The First Chapter shows the family of the village head leading a peaceful live in the countryside. It presents a landscape with traditional residences built in harmony with the natural environment. This chapter also depicts the violent confrontations between the villagers and a demolition team working for the local government and real estate developers. This type of clashes, often deadly, has become commonplace as a result of large-scale land-grabbing over the past two decades. At the end of this chapter, the village head is brutally crushed to death by the demolition team’s truck. In Chapter 2, the village is demolished and most parts reduced to rubble. The rural landscape has been drastically transformed. The child of the village head is alone playing outside one night when a stranger in dark suit emerges and gives the child candy. Subsequently, the child is drugged and abducted. This chapter addresses the serious social problem of child abduction. It’s estimated that some 70,000 children are kidnapped in China every year, with many of them sold for adoption. The one-child policy, a fundamental strategy for China’s economic growth, has contributed to this problem. In Chapter 3, the mother begins her journey looking for the missing child. She arrives the city’s train station along with countless migrant workers who are later struggling with their urban lives. Many of them have to live in the ‘underground city,’ which is an enormous network that comprises of tunnels, basements, even bomb shelters. This complex is located underneath the skyscrapers that they built with their own hands. The imagery of the falling workers is a metaphor for their fate. This specifically reflects on the worker suicide cases at the Foxconn factory, the electronics manufacturer behind popular products like the iPad and the iPhone. In the last chapter, the mother continues to travel across the country in search of her child. Through her journey she observes the environmental degradation. Water and soil are severely polluted by industrial waste. Both rural and urban areas are shrouded in smog. All of such is caused by the mindless exploitation of the environment for the sake of fast economic growth. Meanwhile, the cultural heritage verges on extinction. Countless historic sites have submerged underwater as a result of gigantic engineering projects. The social environment remains as repressive as ever: the whole system can be compared to a maze without an exit, with people trapped within. One day, the mother finds herself facing a heartbreaking sight: 5 homeless boys are found dead in a garbage container. They died from carbon monoxide poisoning after attempting to warm themselves by burning charcoal inside. In fact the five kids are among the 60 million Chinese children who left behind in the countryside when their parents set off as migrant workers. We will also share a few clips of our previous work. Our proposed project “Shadow Play” will be completed around the summer of 2016. we are seeking some opportunities, particularly exhibition venues such as museums, galleries or art festivals. Also, we hope to develop collaborations with our fellow artists. This is our project. Thank you very much! The project “Window Zoos & Views” was inspired by an image of a car driving down Singapore’s legendary Orchard Road. The windshield of the car was plastered with stickers of popular cartoon characters. By driving down the street, the car mixes the cartoon characters with the actual world and the cartoon characters augment the real world environment. The interior of the car was transformed by the stickers into a kind of a virtual space in which the passengers inside were able to exceed the bounds of physical reality.In keeping with the idea of the car and the experience it provides those inside it, a concept was developed to transform Orchard Road into a virtual exhibition space for pedestrians by creating an responsive smart phone application and overlaying the entire road with geo-tagged media common to game technologies and augmented reality systems. Like the car’s windshield, pedestrian’s mobile device screens become windows onto the virtual world that is emerging around us, expanding our notion of what constitutes public space and how art can be exhibited. Whether traveling by vehicle or by foot, artworks will augment the “stop and go” journey down the road adding to the hustle and bustle of the people and the glare and flash of window displays and neon signs. Utilizing this type of technology in an art context is a new proposition that explores all that we know and experience as the mix of the real and the hyper-real, calling into question the border between art and life itself. 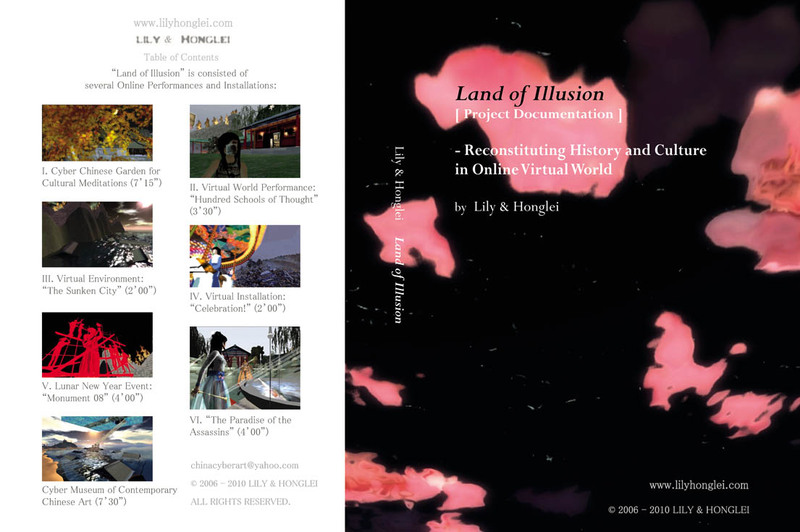 Land of Illusion project will be presented at EVA2010, London in July 2010. The keynote speakers at EVA 2010 include, Seb Chan, Peter Cochrane, David Giaretta, Oliver Grau, and Alan Read. 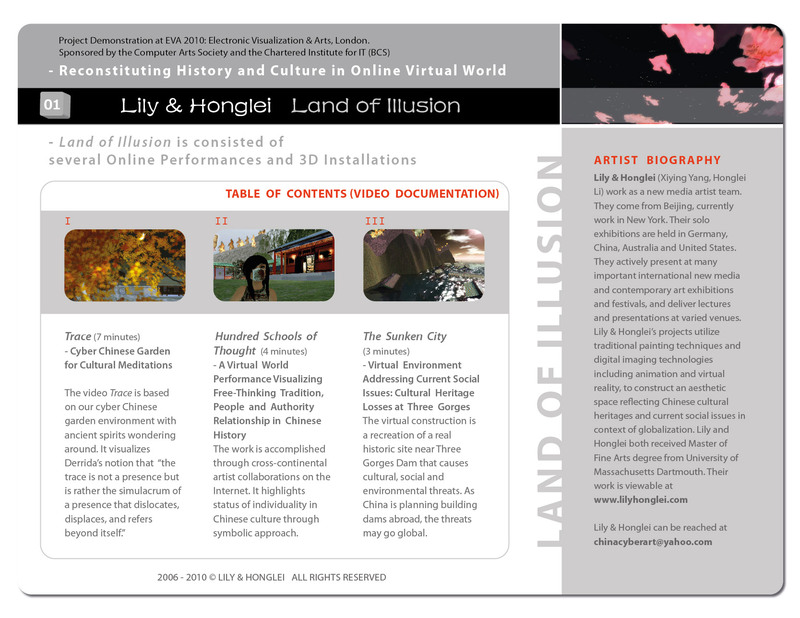 Land of Illusion is a virtual world art project accomplished through cross-continental artists’ collaborations in cyberspace. It is intended to make social and cultural commentaries particularly through reinterpreting Chinese folkloric traditions. The work reflects on globalization’s impact on both the environment and the individual, and unveils layered personal and cultural identity markers. Focusing on the spiritually homeless struggling to preserve traditional values, it explores foreignness and displacement. 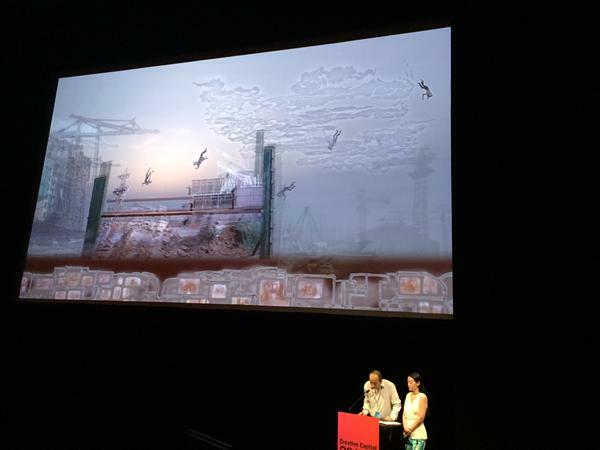 Furthermore, Land of Illusion proposes solutions for preserving and re-evaluating cultural heritage with digital art. Organisation and management: EVA London is a conference of the Computer Arts Society, a specialist group of the Chartered Institute for IT (BCS). Rome, 16 October 2009 – 85 finalist artworks for the Terna Prize 02, among the over 3,500 participants. A creative multitude that represents the leading edge of imagination on the theme of environment and future. Together with the 45 masters of the Terawatt category who participated in this second edition, 30 artworks were also selected among those made by the under 35 artists (Gigawatt), 30 among the over 35 (Megawatt) and 25 among those who participated in the new Connectivity Category, devoted to artists who work in New York City on a regular basis. The finalist artworks will be published in the bilingual catalogue of the Terna Prize 02 and will be evaluated by the Jury that will select three winners for the Megawatt, Gigawatt and Connectivity categories, in addition to one winner for the Terawatt category. The Gallery Committee will also express two preferences among the selected artworks. 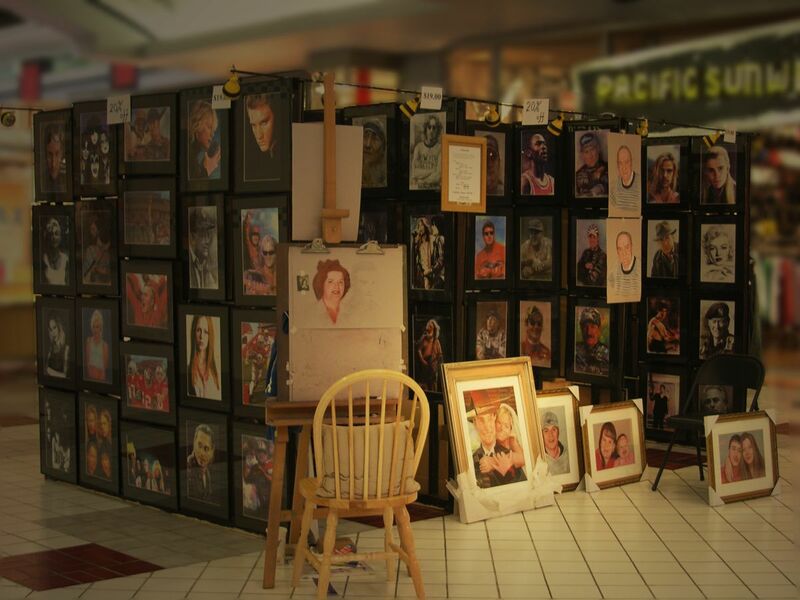 Many photographs are included among the artworks, as well as paintings, light boxes, video stills and artworks based on new painting techniques. From a geographical point of view, Lazio is at the top of the regions with the highest number of selected artists, with 15 finalists out of 60, which is equal to 23% of the total, followed by Lombardy with 9 and Tuscany with 7. Good results also for Emilia Romagna and Campania, each with 4 finalists. Sardinia, Marche, Abruzzo, Puglia, Piedmont, Trentino and Umbria were also represented. Among the finalists, 55 artists took part in the Prize for the first time, while 30 had already participated also in the 2008 edition. “The artists who made it to the finals represent the faithful mirror of the artistic scenario, of the daily routine of galleries and museums. The average quality profile of the finalists is based on their great ability with regard to the technical, formal and conceptual organization of the work. It is noteworthy that all participants have stuck to the topic, thus showing their understanding of the meaning of the Prize”, agreed art gallery curators Gianluca Marziani and Cristiana Collu. On 22 October, the Jury, headed by Flavio Cattaneo and Luigi Roth, CEO and Chairman of Terna, and composed of curators Gianluca Marziani and Cristiana Collu, as well as Massimiliano Fuksas, Matthew Higgs, Luigi Ontani, Giuseppe Piccioni, Marco Senaldi, Patrizia Sandretto Re Rebaudengo, Vicente Todolì, will meet and announce the winners. The Art Gallery Directors Committee will also evaluate the finalists and select two artworks in the Megawatt and Gigawatt categories. The Committee is composed of Francesco Cascino, Paolo Curti, Curti e Gambuzzi Gallery (Milan), Alberto Peola, Alberto Peola Gallery (Turin), Hélène De Franchis, Studio La Città Gallery (Verona), Laura Trisorio, Trisorio Gallery (Naples), Marina Covi Celli, Oredaria Gallery (Rome). Until 6:00 pm on 20 October, the public will also have the opportunity to vote for their favourite artist among the 3,500 participants, by sending an email to www.premioterna.com and to be involved in the awarding of the Terna Prize 02. With the over 80 thousand votes that have been received thus far, the net remains one of the leading protagonists of the Terna Prize 02. Significant is the participation of the following artists in the Terawatt category: 45 contemporary art masters, Claudio Abate, Roberto Baldazzini, Gianfranco Baruchello, Matteo Basilé, Gianni Berengo Gardin, Antonio Biasucci, Andrea Branzi, Brigataes, Giacomo Costa, Mario Cresci, Michele De Lucchi, Alberto Di Fabio, Chiara Dynys, Pablo Echaurren, Flavio Favelli, Marco Ferreri, Giosetta Fioroni, Franco Fontana, Stefania Galegati Shines, Daniele Galliano, Alberto Garutti, Paolo Gioli, Giulio Iacchetti, Armin Linke, Renato Mambor, Gino Marotta, Masbedo, Luciana Matalon, Davide Nido, Fabio Novembre, Adrian Paci, Luca Pancrazzi, Luca Maria Patella, Dino Pedriali, Gaetano Pesce, Pino Pinelli, Cristiano Pintaldi, Alfredo Pirri, Paola Pivi, Andrea Sala, Studio Azzurro, Adrian Tranquilli, Paolo Ulian, Cesare Viel, G. Massimo Vitali. Megawatt Category, over 35: Andrea Aquilanti, Elena Arzuffi, Emanuele Becheri, Giuseppe Bernabei, Davide Bertocchi, Sergio Bonino, Antonello Bulgini, Stefano Cagol, Giusy Calia, David Casini, Stefano Cerio, Alessandro Cidda, Enrico Corte, Arnold Mario Dall’O, Giancarlo Dell’Antonia, Ciriaca+Erre, Mauro Folci, Anna Fusco, Marina Gasparini, Lucia Lamberti, Lorenza Lucchi Basili, Raffaela Mariniello, Paolo Meoni, Matteo Montani, Marco Neri, Gianni Nieddu, Simone Racheli, Edoardo Romagnoli, Andrea Silicati, Marcella Vanzo. Gigawatt Category, under 35: Sara Renzetti and Antonello Serra, Simone Bergantini, Gabriele Bonato, Stefano Canto, Fabrizio Carotti, Raffaella Crispino, Gilberto De Berardis, Roberto De Paolis, Valentina Dé Mathà, Sabine Delafon, Giulio Delvè, Sandro Di Camillo, Tamara Ferioli, Oliviero Fermariello, Michele Giangrande, J&PEG (Antonio Managò e Simone Zecubi), Marco Lampis, Matteo Tommaso Petri and Luciano Paselli, Marianna Masciolini, Piero Mezzabotta, Andrea Nacciarriti, Barbara Nati, Cristiana Palandri, Massimiliano Pelletti, Manuel Perna, Gianni Politi, Matteo Sanna, Laura Santamaria, Alia Scalvini, Alessandro Scarabello. Boston, MA – Exhibitions and performances by artists who use computer technology as an integral part of their work are once again on display at the sixth Boston Cyberarts Festival, taking place April 24-May 10, 2009. 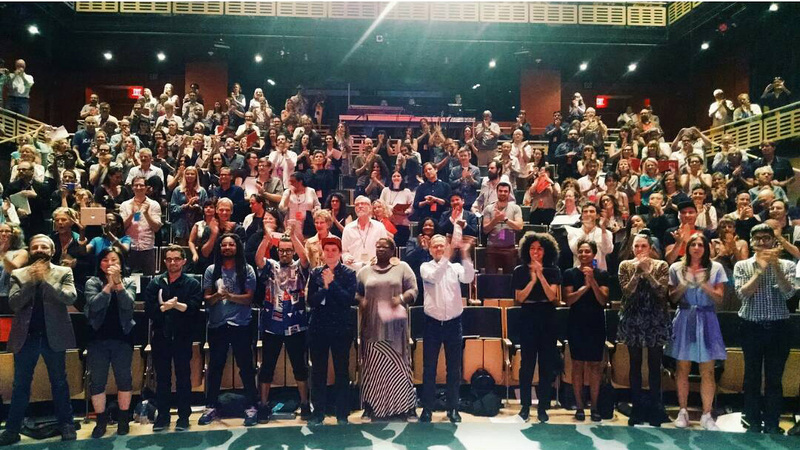 The Festival, a collaboration of visual and performing artists, cultural organizations, educators, and high-technology professionals, takes place at museums, galleries, theatres, schools, and public spaces in and around the Boston area, and online at http://www.bostoncyberarts.org. * Second Life: Boston Cyberarts is planning an array of projects in the virtual environment of Second Life. 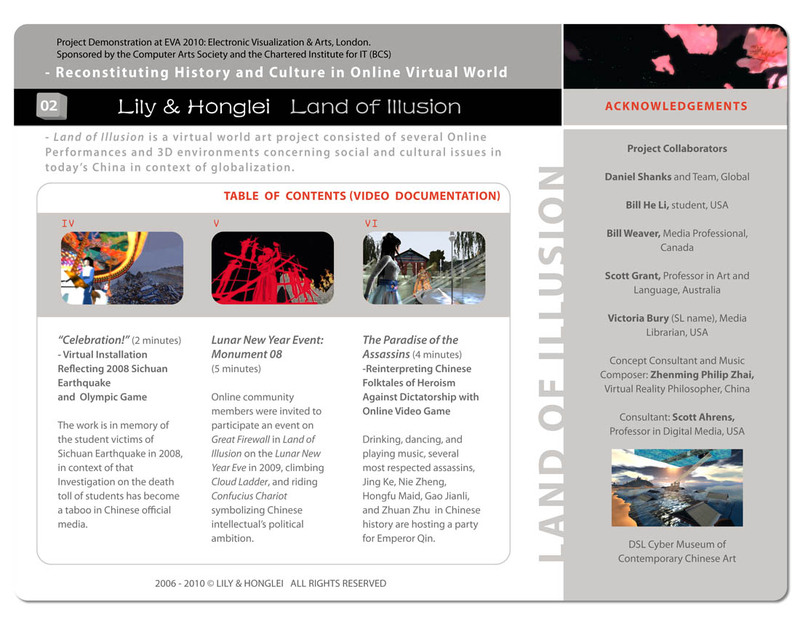 At least one of these exhibitions, organized by Lily & Honglei, will also be on view in the gallery at U. Mass Dartmouth. A rich array of events and exhibitions in many art forms are also on tap for the 2009 Festival.